AVEPA is the Spanish of Small Animals Veterinary Association and includes, as an association, to most Spanish veterinarians whose activity consists in, to some extent, the work in the clinic of small animals (dogs, cats, exotic animals, etc.). The aim of AVEPA is to develop the cultural and scientific level of small animal veterinary specialists through the organization of technical meetings, activities and conferences and the edition of various publications, especially with regard to canine and feline species and other pets, and to protect the interests of its members. AVEPA was founded in 1964 by a small group of pioneers in the specialty of small animal veterinary clinic. 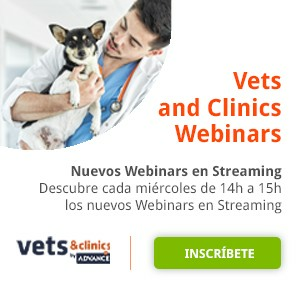 The medicine of pet animals was an unknown field at those days, and even despised in certain circles of the veterinary profession, but the eagerness of the founding members promoted the first association of small animal veterinary specialists in Spain that currently has more than 5,300 members. AVEPA has organized National Congresses and WSAVA (World Small Animal Veterinary Association) World Congresses. The international projection of AVEPA was strengthened after being actively involved in the founding of FECAVA (Federation of Companion Animal Veterinary Associations) and FIAVAC (Iberoamerican Federation of Companion Animal Veterinary Associations). In addition, AVEPA continuously carries out activities in its 10 regional committees.